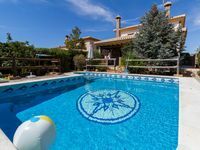 Property 95: 'El Nido' Peaceful holiday cottage with private pool and gardens. Dog friendly. We were very pleased to spend some days at this nice property during our visit to Granada. 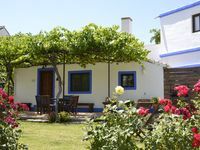 While a bit out of town (about 14km), and a bit hard to initially locate, we were rewarded by the nicely furnished property located on a small farm. We had fresh eggs and fruit when we arrived! Very cool. Lali, our host was very helpful and gave us an in-depth introduction to the sights in the area. The pool on the property is a nice plus but really after spending a bunch of days in cities, our our trip, waking up to a rooster crowing and a relaxed atmosphere was wonderful. We have to return here and spend more time. I will say that even with the well laid out directions to the place, we got lost, but Lali was able to connect with us and guide us there. Furthermore, she was very communicative and helpful as we got close to our date. Bottom line for us is that it was so nice to be out of the city in this nice location. We hope to return in the future.